I have a sister-in-law who's birthday is February 14th. 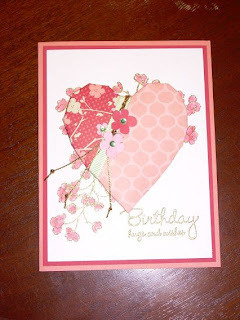 I created a heart using the Ginger Blossom paper, which I applied over the embossed cherry blossom from the Embrace Life stamp set. You can't see the shimmer of the shimmer white card stock in the picture. 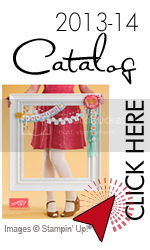 If you haven't tried this card stock you should add it to your next order.